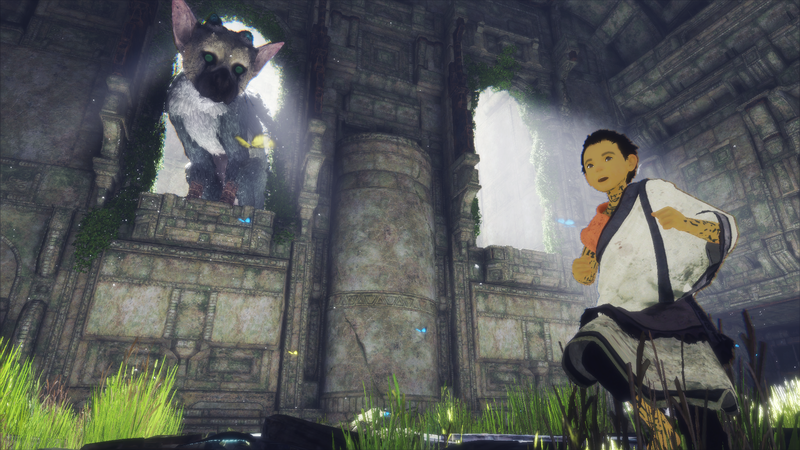 Right now, it's impossible to say with certainty if The Last Guardian will be worth the wait. But, after playing through the game's new 45-minute demo, I can definitely say it will be one of the most unusual titles to hit the PS4 this year. What I played of The Last Guardian was at times frustrating and at other times fascinating, both due to Trico, the game's bird-dog AI companion. I haven't seen The Last Guardian since a 2011 demo at Sony's offices in Tokyo. A Sony staffer played through what Sony called a "vertical slice" or a section of the game to give us an idea of what to expect. At the time, it seemed like the game, which looked great, had been in development for ages. Little did I know. The Last Guardian's creator Fumito Ueda was at that showing, taking questions from the press. At this year's session at Sony's Tokyo offices, the creator was nowhere to be seen. It's hard to blame the guy: most interviews turn into a post-mortem on the game's development hell and feature endless questions about the most recent delay. The latest demo takes place later in the game than the demo Kotaku played at E3. You, as the young boy covered with mysterious body markings, are still in the nascent stages of the your relationship with Trico. You climb around and get Trico food, which is glowing goop in pots or barrels. In 2011 Ueda had explained that Trico had a mind of its own, and that was very evident in this year's demo. There were times when I would gesture, holler, and clap my hands to get Trico's attention. Most of the time he'd respond, but not always. I grew frustrated, then reminded myself that Trico was just a bird-dog thing, so I needed to be patient. At times I extended this lesson to the game itself — a few parts of the demo felt rough, and I ran into trouble with simple actions like pushing something up an incline. I was supposed to grab and push a large cylinder up a ramp, but I kept getting stuck in place or suddenly let go of it. The ordeal seemed to take longer than it should for such a simple action, and I wondered if this was an in-game bug that Sony was currently fixing. Other times, I'd have to wait for Trico to do what was necessary to complete the puzzle, because it would follow his own logic instead of instantly listening to my demands. I wasn't playing The Last Guardian at my own pace, but at Trico's. I don't know if this makes for a good game, but it did make for an interesting experience. 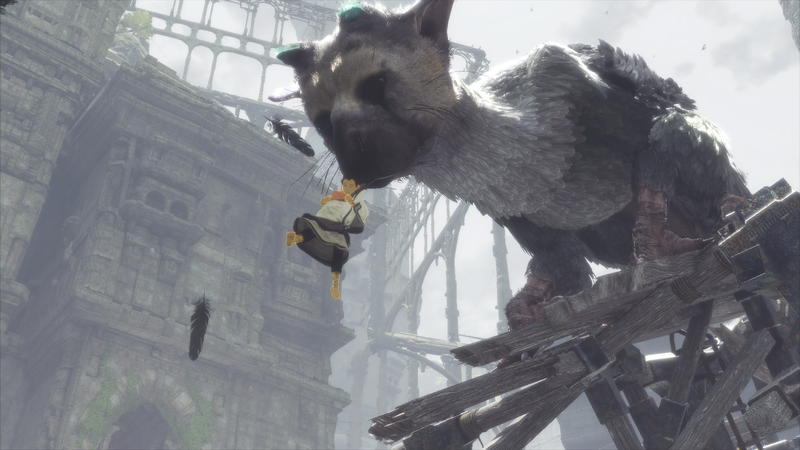 The AI seems rather sophisticated, and Trico could very well be the most realistic creatures to appear in a video game. While that realism might wear on some players' patience, it made the game more immediate. You are dealing with an animal and all that entails. When you get outside, there are large trolleys with giant stained glass eyes that totally freak out Trico. You have to figure out how to destroy them, which involves some strong platforming. The locked rooms stages are puzzles, but once you get out in the open air, the demo has more jumping from platforms that are collapsing under your feet. 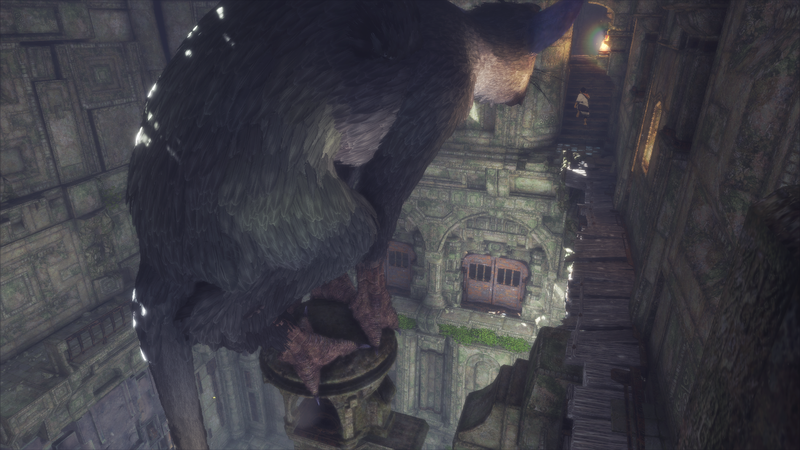 As you interact with Trico more, the creature is willing to lend you a helping hand — or tail — to catch you when you fall. In the first big jump I needed to take in the demo, I called Trico over and then took the plunge, with Trico catching me in his mouth just in time. In another place in the demo, I had to take a jump from a stone tower as it collapsed. Trico reached out, trying to catch me, but missed, leaving me in freefall, only to be saved by grabbing on to its tail. Towards the end of the demo I again found myself falling. This time it wasn't a setpiece, but rather a mistake. I thought for sure, I was dead, but there was Trico's tail to save my fall. All that patience was worth it, because when I needed the bird-dog, the critter was there for me. But was all our patience and years of waiting worth it for The Last Guardian? We'll find out this December when the game is finally released. 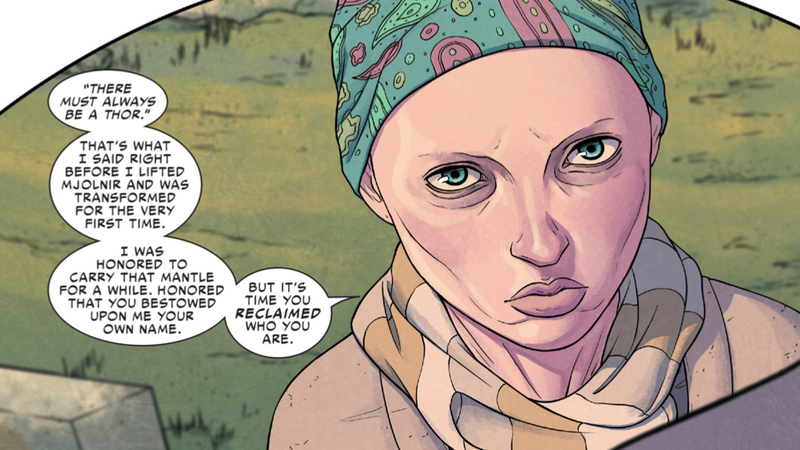 Ultimately it will get ripped apart due to the enormous hype its gotten over the last few years. I'm not so sure it'll get ripped to shreds. We don't know much about the game, other than there's a young kid that meets up with this cat-dog animal. I guess we can presume a little based on ICO and SotC, but otherwise, the developers haven't promised much about the game. The hype is only about the game being developed by Team ICO. That isn't going to change. The game itself will have to stand on its own, and it may do that perfectly fine. No ripping is guaranteed. Unfortunately, to me the gaming community is all about expectations... If I press this button, I expect 'this to happen'... The fact that this game relies on something out of players control is going to anger most people I believe... It's the main reason I won't be bothered with it. Imagine any game, say mario, and you press jump, and sometimes mario jumped and sometimes he didn't cause he didn't want too, that'd drive even the most patient man insane. I'm not really sure how well the whole "Play the game at Trico's pace" design is going to work. I don't want to play a game where I can stand around for large stretches of time doing nothing because I'm waiting for RNG to happen. It'd be even worse if the AI bugged out and you couldn't progress at all.